This summer, the Oakland Police Department received a $50,000 grant from the California Department of Alcoholic Beverage Control. 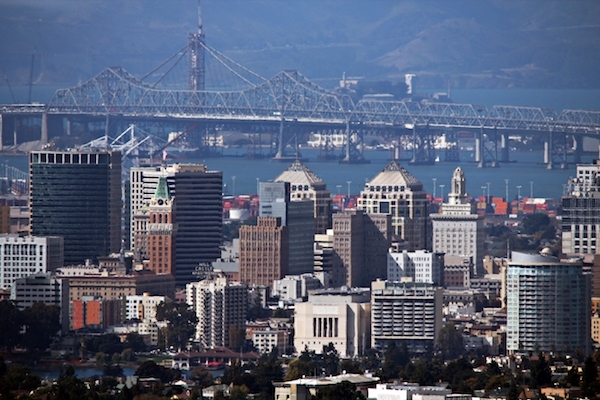 The money is to be used to curb alcohol-related crimes in Oakland. This grant was one of 52 awarded to law enforcement agencies by Alcoholic Beverage Control (ABC), John Carr, a spokesperson for the agency, wrote in an email. According to Carr, Oakland’s grant, given July 1, will better equip police to deal with problem businesses at which one or many alcohol-related crimes are taking place such as underage drinking, service to people who are obviously intoxicated, loitering, noise, public drunkenness, fights or assaults. The amount granted is based on the specific request made in the law enforcement agency’s proposal, but grants to individual agencies rarely exceed $100,000, Carr said. Applicants specify how they plan to use the money, and what they hope to accomplish. Funding for the grants, said Carr, comes from license fees—money paid by businesses to ABC for licenses that permit the sale or service of alcohol. Though Oakland police don’t work with Oakland Unified School District (OUSD) personnel to curb alcohol sales to minors, there are efforts to understand and deal with the issue by both organizations. As the program manager of Tobacco Use and Prevention Education (TUPE), a youth development program that discourages alcohol and drug abuse, Robert Dousa collects data about the students of OUSD through a yearly anonymous survey taken in March. Last year, 17,000 students from 5th to 12th grade were surveyed. “The data shows that more students are using off of campus than on,” said Dousa. He added that alcohol isn’t the “cool” substance to use—marijuana is. “It’s not socially acceptable to be drinking,” he said. ABC isn’t the only organization granting money to Oakland police to deter alcohol-related crimes. The California Office of Traffic Safety (OTS), a state agency seeking to end traffic injuries and deaths, granted Oakland police $753,000 to aid in “alcohol and other traffic enforcement operations,” said Wayne Ziese, public information officer for the agency. Ziese said the agency expects a grant of similar size will be awarded to Oakland police for next year. This grant is funding two full-time Driving Under the Influence (DUI) officers who work the late-night shift, usually over the weekend, and conduct traffic stops of drivers who are weaving in and out of traffic, speeding, driving too slowly, or otherwise showing signs that their driving may be impaired by alcohol, Ziese wrote in an email. The grant is also allowing 20 officers to get standardized field sobriety training—teaching them to do field sobriety testing—and is sponsoring the training of six officers in ARIDE (Advanced Roadside Impaired Driving Enforcement). “This gives a 16-hour course for the officers to better detect objective signs of drug impairment,” Ziese said. The grant also funded DUI checkpoints and DUI “saturation patrols”— these are when multiple officers are sent to a place where there has been a high incidence of crashes and arrests involving alcohol, Ziese said. Though Ziese’s office funds California Alcoholic Beverage Control as well, the $50,000 awarded to Oakland police didn’t use any of the traffic agency’s money. The goals of the “minor decoy” and “shoulder tap” compliance checks “are to increase public safety by reducing the number of licensees who sell alcohol to minors,” wrote Carr, and by cutting down on underage consumption of alcohol as well as binge drinking. It makes sense to Dousa that Oakland police have partnered with ABC to take on these issues. When asked if he supports Oakland police officers’ use of compliance checks to deter alcohol sales to minors, Dousa pointed to a study published in 2014 by the journal Alcoholism. “Compliance checks conducted by law enforcement agents can significantly reduce the likelihood of illegal alcohol sales to underage individuals,” the researchers for this study stated in their article. Oakland police and Alcoholic Beverage Control work to deter alcohol sales to minors in Oakland. Part of this effort involves conducting compliance checks at alcohol retailers.